OTTAWA—A University of Ottawa researcher has recently received funding for a new study on shipping traffic in the Northwest Passage and its potential impact on sensitive sites such as the Franklin Wrecks. The Marine Environmental Observation, Prediction and Response Network (MEOPAR) and the Clear Seas Centre for Responsible Marine Shipping announced today that Dr. Jackie Dawson of the University of Ottawa was the successful recipient of a $194,000 research grant to examine shipping traffic in the region. The project received funding through a competitive submission process held in partnership between Clear Seas and MEOPAR in the fall of 2017. The two organizations share an interest in safe and sustainable marine shipping, leading to a natural partnership to fund research that reduces risks and improves best practices in marine shipping through Canadian waters. The Northwest Passage has featured prominently in Canadian media in recent years, with shipping traffic through the passage increasing by more than 75% in the past ten years, as well as the identification of the wrecks of the Franklin Expedition’s HMS Erebus and HMS Terror. Decision-makers have a difficult balance to strike between tapping into the commercial and tourism potential of the Northwest Passage and protecting the sensitivities of its ecosystems and communities. Led by Dr. Jackie Dawson of the University of Ottawa, the project will examine two sites within the Northwest Passage: Lancaster Sound, the eastern entrance to the passage, and the sites of the Franklin Wrecks. Dr. Dawson’s team will evaluate shipping traffic trends over the past thirty years, identifying potential risks to the ecosystems and cultural heritage, and recommending best practices for establishing shipping routes and management in the sites. The team will begin their work this spring. The project was developed in close collaboration with Inuit associations, federal government agencies, and industry stakeholders, including Parks Canada, the community of Gjoa Haven, the Kitikmeot Inuit Association, the Qikigtani Inuit Association, Adventure Canada, and the Franklin Interim Advisory Committee. The research team recognizes the vital importance of Inuit involvement in Northern research, working closely with the communities to develop the research question and proposed activities. As with previous projects, Dr. Dawson’s team will hire and train four Inuit research assistants to co-facilitate workshops planned for the communities of Gjoa Haven and Iqaluit. In addition to scientific modeling and trends analysis, part of Dr. Dawson’s research includes using social media to gauge tourism interest in the Franklin wrecks site. The team hopes to use social media posts to predict the potential impact of tourist visits on the culturally sensitive site, and mitigate risks that have impacted other marine-based tourist destinations in recent years. Read Clear Seas' interview with Dr. Dawson. The team plans to study two sites: Lancaster Sound, the proposed Tallurutiup Imanga National Marine Conservation Area, the eastern entry point to the Northwest Passage; and the Wrecks of the HMS Erebus and HMS Terror National Historic Site. The project’s intended deliverables include two case study reports in the form of discussion papers, a full technical report, shipping hazard and sensitivity maps, new shipping risks data layers, as well as conference presentations and scholarly journal articles. Clear Seas Centre for Responsible Marine Shipping is an independent research centre that promotes safe and sustainable marine shipping in Canada. 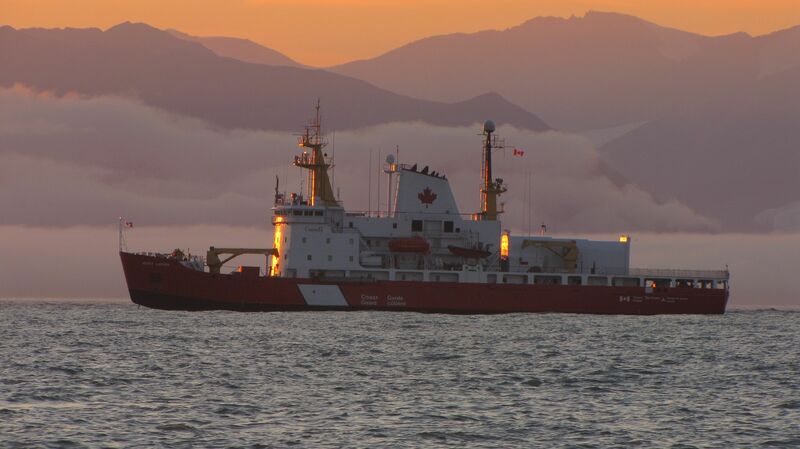 Clear Seas provides impartial information on marine shipping in Canada to policy makers and the public. Its mandate is to initiate and interpret research, analyze policies, identify best practices, share information and facilitate dialogue. Read more about Clear Seas on their website. Dr. Jackie Dawson (PI) holds the Canada Research Chair in Environment, Society and Policy at the University of Ottawa and is Director of the Environment, Society and Policy Group (ESPG) research lab (http://www.espg.ca). She has more than a decade of experience conducting research on marine shipping and Arctic maritime policy. She works closely with a variety of stakeholders including communities, Inuit government, federal government, and the shipping industry and has a strong history of establishing trusting and collaborative relationships in the Arctic. Her research is focused strongly at the science-policy interface and she combines her background in natural and environmental science with her current focus on science-policy. Read more about Dr. Dawson's research interests.